Students enrolled for the current term, have an active U Card, and have no financial holds on their account. Present your UCard at the cash register. Show another form of picture ID. 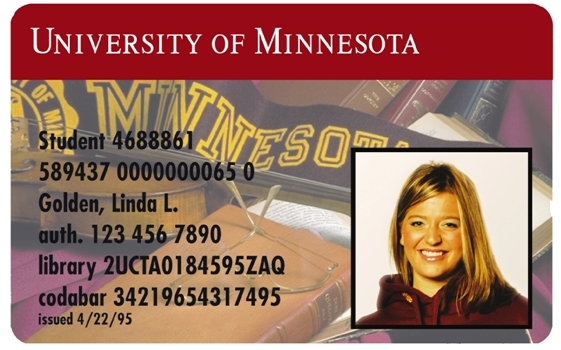 Your U Card will be swiped at the register to verify eligibility. Sign the charge receipt. The purchase will show on your student account as a Bookstore Charge. All products and services available at UMD Stores can be charged. *Remember, your charges will be reflected on your student account and will be billed to you, so only charge what you can pay for! Returns require a receipt and will follow regular return policies. Returned items will show as a credit on your student account. How do store charges get posted to my student account? Total charges for the day are transferred each evening to your student account. Store charges will show up on your next monthly billing along with tuition and fees. Unpaid charges may result in registration or transcript holds on your student record.